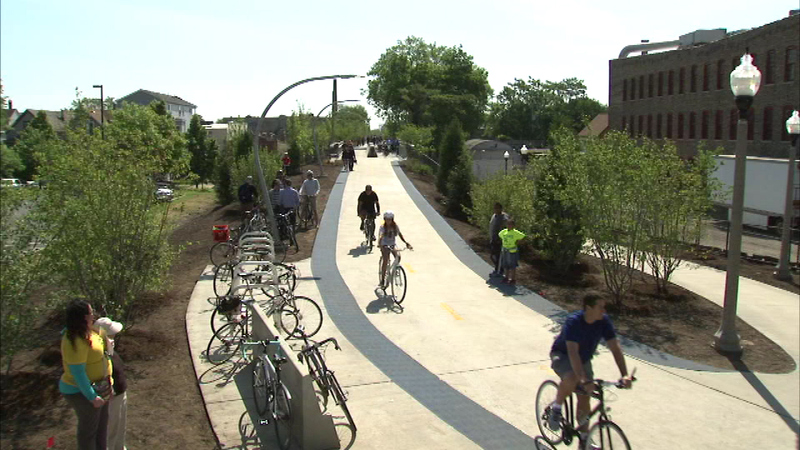 CHICAGO (WLS) -- Chicago police said a woman punched another woman on the popular 606 Trail Tuesday night near the Rockwell ramp in Logan Square. The attack happened just after 10 p.m. Police said a woman between the ages of 18 and 20 punched a 30-year-old woman, then got on a bicycle and rode off. The victim wasn't seriously injured. No one is in custody.